Invest Openly: Global Financial Literacy Survey Outcome - Where Do Singapore Stand? 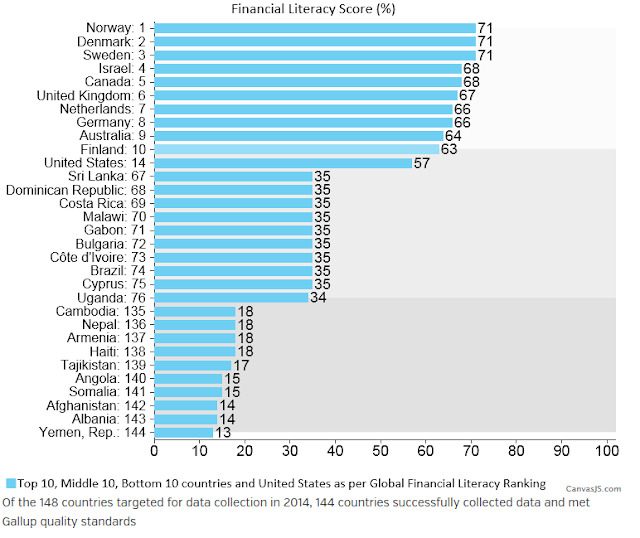 Global Financial Literacy Survey Outcome - Where Do Singapore Stand? As per my earlier post, finance is one of the most important subject we must learn and hence financial literacy of the population of a particular country speak volumes on how successful of that country (at least from the financial/market perspective). Financial literacy is the ability to understand how money works in the world: how someone manages to earn or make it, how that person manages it, how he/she invests it, or how that person donates it to help others. If you noticed, Singapore is not in any of the above-mentioned groups. So, where do we stand? I've since downloaded the report and did a brief check, we are not far off from the top and to my surprise, we are doing better than United States. ;-) We are standing tall at 12th place with the score of 59%, just one position behind New Zealand (11th place with the score of 61%). If you are interested to read more about the survey, you can download a copy of the report (free) from their official site. 4. Or even get involved in playing the financial board game like Cashflow from Robert Kiyosaki or our home-grown one called Wongamania (click here to find out more). 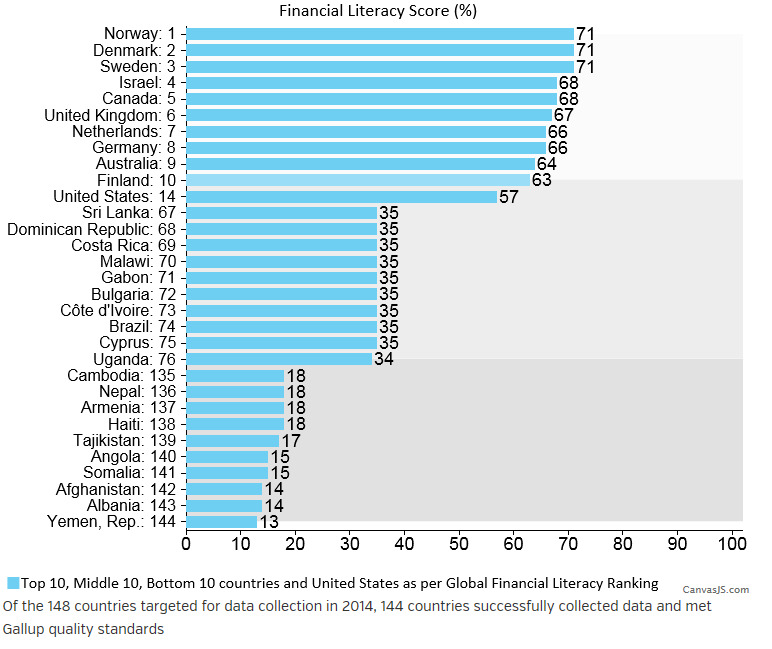 Are you surprised with this Global Financial Literacy Survey outcome? Honestly I think 59% is pretty bad! Especially since the 4 questions they asked were so easy. We have a long way to go still. J : I think there are much more than 4 questions but these are the 4 categories of questions they are asking in the survey. But yes, agreed with you that there are still much room for improvement.